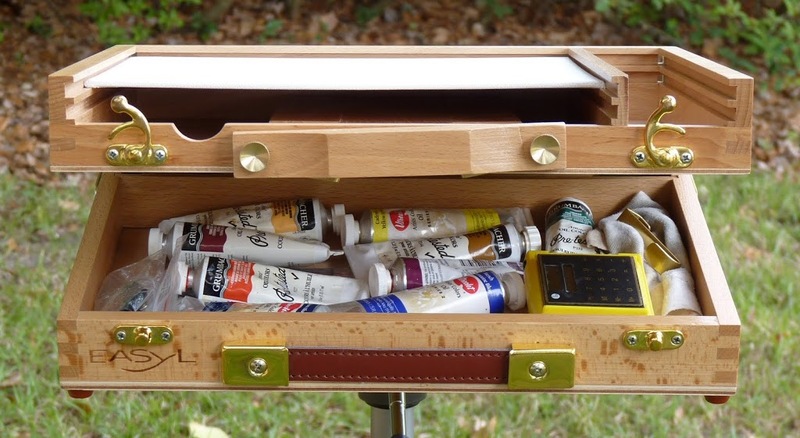 For years I have been using a half-box French easel, along with a separate portable palette box, drying-box, and gym bag to carry extra materials. All of these were secured to a luggage cart for transporting to the painting site. It was pretty convenient to bring everything along, but also cumbersome and heavy. Getting to a remote location was difficult as the small wheels on the cart didn’t do well on soft ground, rocks, roots and underbrush along a trail. To remedy these problems I purchased a 10×12 inch EasyL Lite pochade box that mounts on a sturdy tripod. It carries most all of my supplies including painting panels, paints, medium cup, brushes, palette knife, view finder, hooks, etc. A backpack will carry the box and extras like, sketchbook, solvent jug, paper towels, trash bag, sunscreen, hand cleaner, bug spray, snack & water, and the tripod. 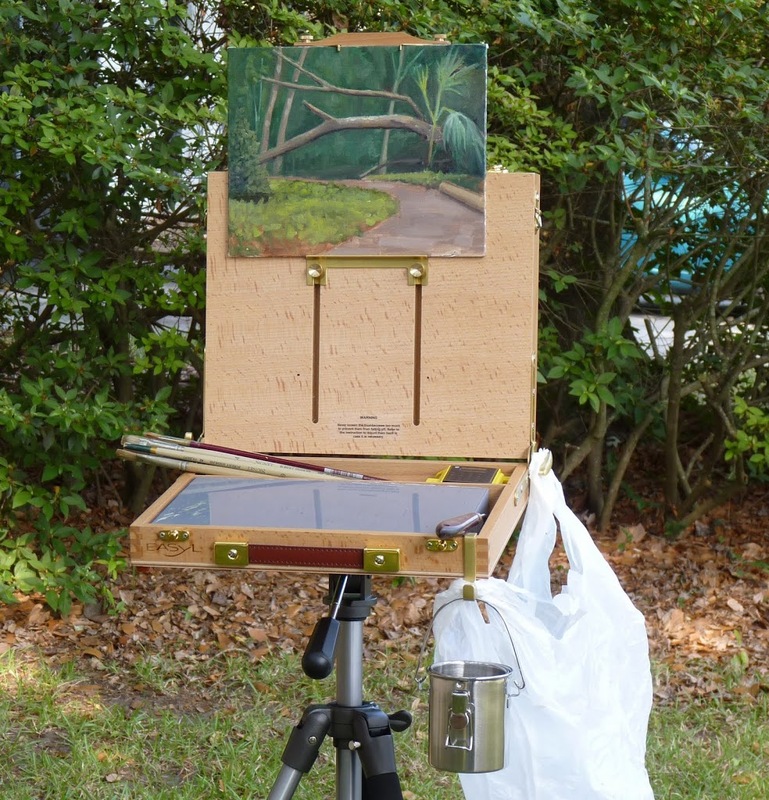 This Painting Kit with the backpack is lighter and allows me to get to those out-of-the-way places with ease. I’m really going to enjoy using my new pochade painting box. The first picture shows the box with supplies and how the painting panels store in the lid. The second one shows it all set-up on the tripod which has an adjustable head and a quick-release. Note the gray palette I made that fits over the tubes of paint.